Wendy's has named VML its new creative agency of record without a review, ending its relationship with Publicis Groupe after nearly seven years. The Kansas City, Mo.-based shop, which is owned by WPP, had been working on the digital side of the Wendy's business since 2012, when it beat four other agencies in a review. Publicis' New York office—then known as Publicis Kaplan Thaler—first won the entire account in the summer of 2009 by beating out BBH, The Martin Agency, Venables Bell & Partners and incumbent KBS. Three years later, Wendy's picked VML to handle its digital work, framing the preceding review as part of its effort to "rapidly expand its already successful digital program" following the development of such offerings as a nutrition app and a new consumer website. 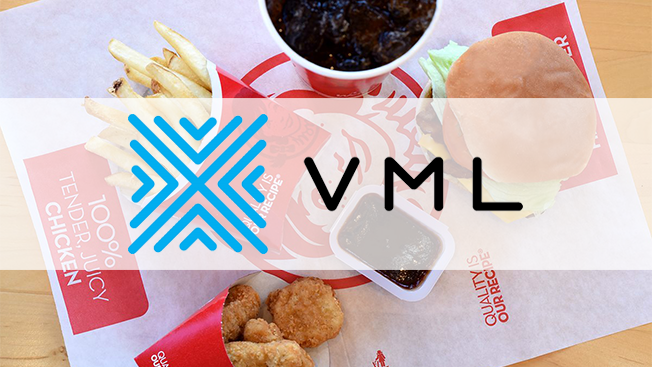 Today's news marks a considerable expansion of VML's responsibilities on the business, and in a statement, Wendy's chief concept and marketing officer, Kurt Kane, cited a renewed focus on integrating all of the burger chain's marketing efforts. "VML has proven that it can tell the Wendy's story in a modern and compelling way that drives winning business results," Kane said. "By streamlining the creative process with VML, we believe our advertising and marketing disciplines will continue delivering strong results across our business while further setting our brand apart from the QSR [quick service restaurant] pack." VML global CEO Jon Cook said, "We are honored to be Wendy's creative agency of record. We've always held the same values and beliefs when it comes to how to create impactful messaging." He added, "There is no 'digital' marketing—only marketing. Our results together have proven out the value of thinking differently. We can't wait for where our journey is going next." Two recent projects typify Wendy's new focus on the digital and social media aspects of its marketing portfolio. Last summer, the chain revealed a series of "cinematic pins" on Pinterest to promote its new Strawberry Fields Chicken Sandwich before launching a livestreaming chat event for fans led by popular YouTube duo Rhett and Link. VML led creative on both of those campaigns. Moving forward, VML will collaborate with other agencies on Wendy's roster including Saatchi & Saatchi X, Bravo, MediaVest and Ketchum. Regarding the chain's six-plus year relationship with Publicis Groupe, Kane said, "Publicis has made many significant contributions to the Wendy's brand through our previous advertising efforts. We thank them for their many years of stellar service and partnership."